Client WindCrest Development Group, Inc. 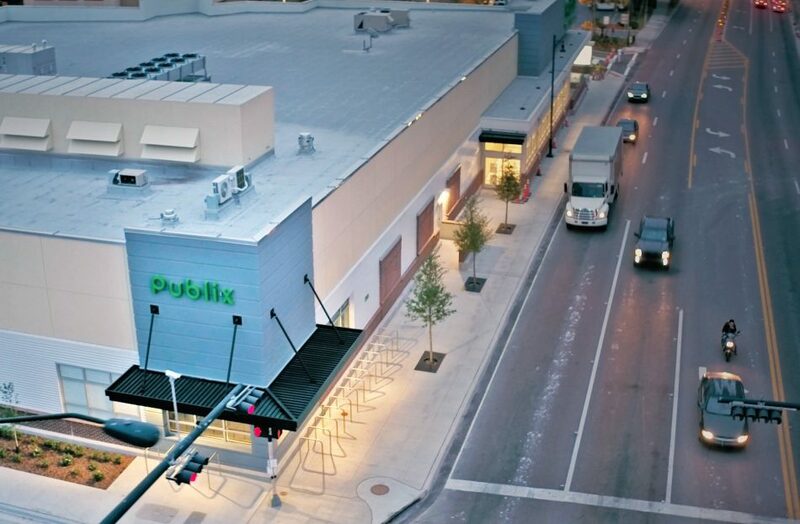 The NW 13th Street Urban Publix project consists of a 30,000 sf grocery store and 3,000 sf of retail shops with the associated onsite and offsite improvements to support the development. The 2 acre project site is located at 203 NW 13th Street in Gainesville, Florida. CHW provided land planning, urban design, land surveyor and mapping , civil engineering, landscape architecture, and construction administration (CEI) services for this project.